With the 57-year Aggie football bowl game drought snapped, many New Mexico State University fans, such as Clay Fiske and his son, Bill, were known to support the Aggies through it all. Clay ’77, who earned the nickname, “Mr. Aggie,” traveled from his home in El Paso to nearly every Aggie basketball and football game, home and away, even in the last years of his life until his death in 2005. Class of 1959 graduates, Bill who met his wife, Nancy at NMSU, was an avid Aggie supporter until his death in 2015. Bill and Nancy’s daughter, Kim Garcia, can imagine what a thrill the NOVA Home Loans Arizona Bowl game would have been for both her father and grandfather. Garcia considers Aggie games a significant part of her childhood, which continued with a fourth generation, her children. “Every weekend we would go to a football game or basketball game. It was a family affair for me, my brother, my parents and grandparents,” she says. 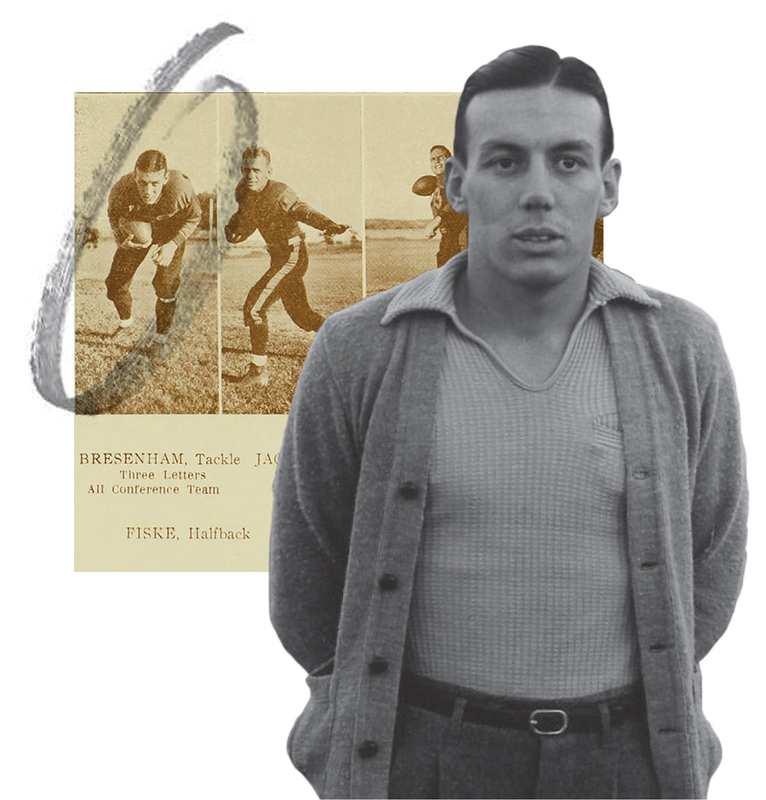 Clay Fiske, who was a halfback for the NMSU football team from 1932-36, was a passionate fan. He shared a love for the Aggies with his son, Bill.